Should I Set Up a Twitter or Facebook Account for My Business? Yes! If you are a business owner you really do need a Twitter and Facebook Page for your business. It’s important for businesses to be involved in social networking. Read the whole article here on Mashable. Is your business on Twitter & Facebook yet? Have you joined in the conversation? If you need some help getting started with social media → Sally Around The Bay is here to help! 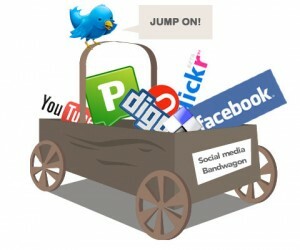 Contact us if you are ready to jump on the social networking band wagon! I agree that twitter and facebook will help business grow and get more followers/believers. Thanks for spurring this out!